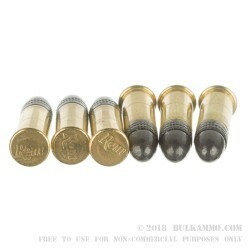 The 22 LR is one of the most popular cartridges in the United States. 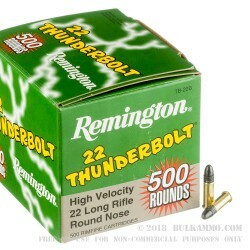 Its low recoil and minimized sound makes 22 LR a great option for varmint hunting, plinking at the range, and introducing young shooters to firearms with a lighter, easier cartridge. 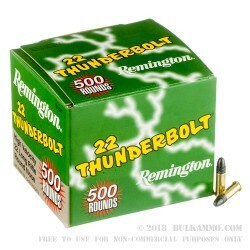 The Thunderbolt is Reminton's most popular 22 LR cartridge. With its lead nose round tip, this new manufactured ammunition is popular with customers for range training and plinking. 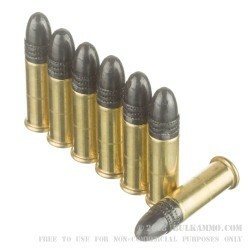 These 40 grain rounds will cycle through semi-automatics easily, and have a velocity of 1255 feet per second. This product is a case of 5,000 rounds, with 10 bricks of 500 rounds. THE PRODUCT THAT I PURCHASED WAS WHAT I WANTED IN EVERY RESPECT. THERE IS NO DOUBT THAT I WILL BE ORDERING MORE. VERRY HAPPY WITH THE PRODUCT, SERVICE AND DELIVERY. good deal, fast shipping, Thank You BA ! !